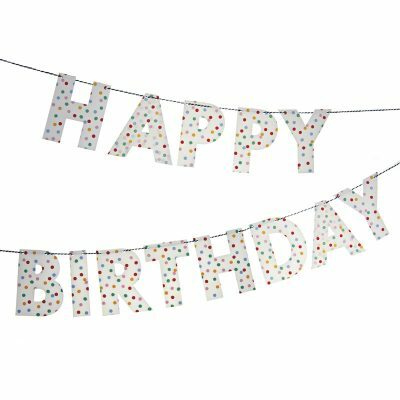 SKU: MM45-0885 Categories: Rainbow, Toot Sweet Spotty, Banners, Garland, Happy Birthday Banner, Circus / Carnival, Confetti, Rainbow, Confetti, Mexican Fiesta, Pink, ON SALE! 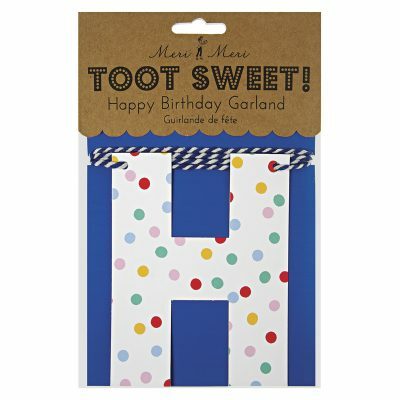 Garland ~ Toot Sweet Spotty spells out Happy Birthday in big bright spotty patterned letters which are strung together with stripy string. A lovely option for a rainbow or confetti party. A fab Happy Birthday garland for all ages. 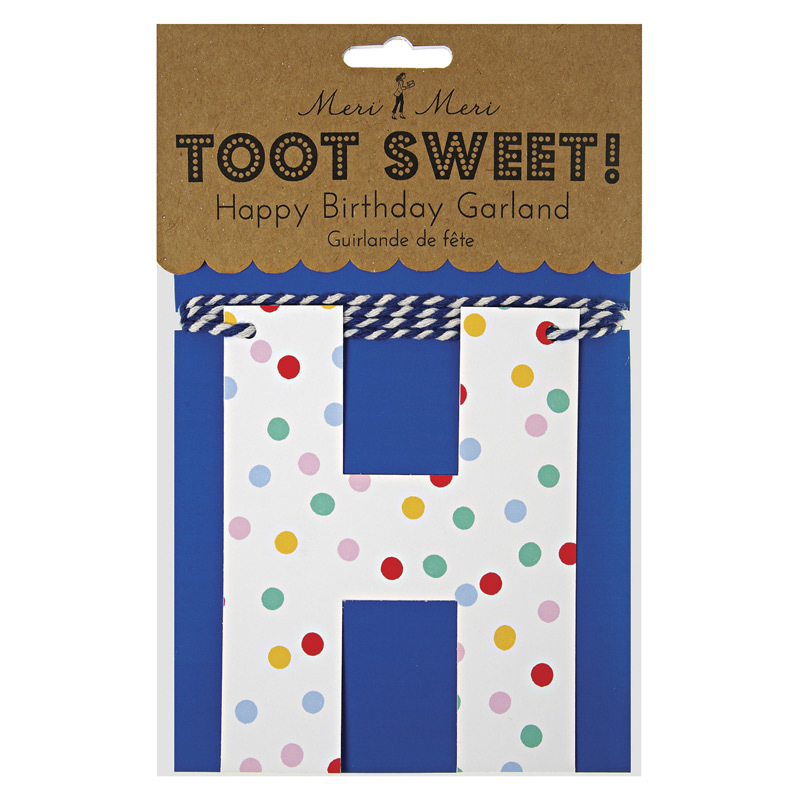 Garland ~ Toot Sweet Spotty is part of the Toot Sweet Spotty collection but also looks great with the Toot Sweet Pink and Toot Sweet Blue collections along with all of our rainbow party supplies. 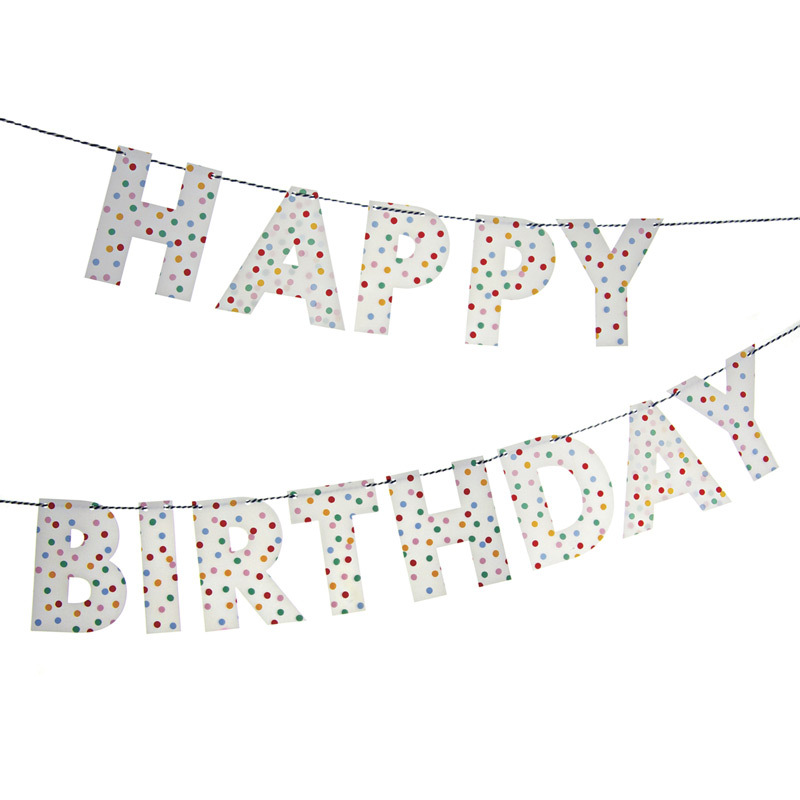 If you are looking for a smaller Happy Birthday garland in bright colours, our Mini Garland ~ Happy Birthday is perfect!